& Associates We Sell Protection. Welcome to Carl R. Wells & Associates We Sell Protection. Since 1960, Carl R. Wells & Associates has been committed to providing clients with the highest quality insurance plans combined with some of the lowest rates available in Tennessee. Our ultimate goal is to create lasting relationships with each of our clients so that we may continue providing excellent service for many years to come. Take a look at the different services we provide and get started on insuring your future today. “Barry was able to get me insurance on a rental property when nobody else could.  I talked to my own homeowners insurance provider, multiple carriers including State Farm, AAA, and Nationwide and a number of independent Insurance agents. Barry was the only one who came through.